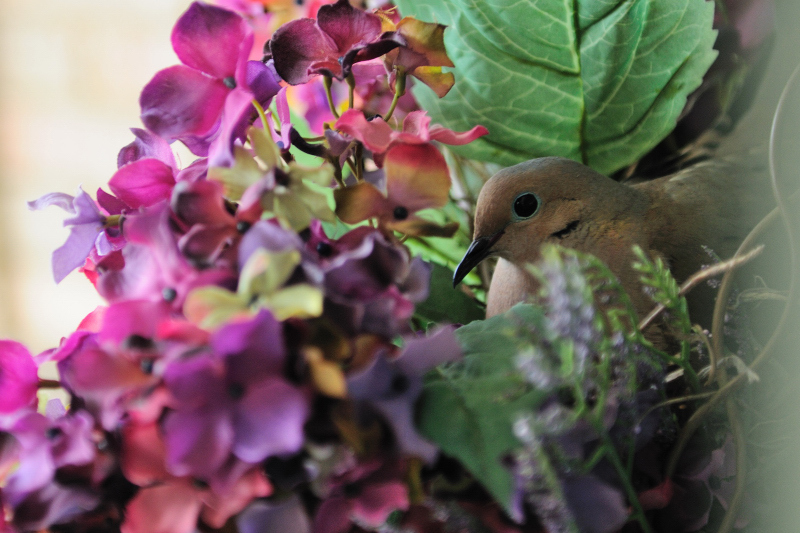 Last year, we found a nest of eggs in our front door's flower arrangement, seen here. Unfortunately, things didn't end with little baby birds, as the nest was abandoned. And the mom is a mourning dove who is quite fearless, as she won't fly away unless the front door is fully opened. I took the picture with the door opened about 4", while standing inside the house on a step stool. She looks like she is part of the door arrangement! 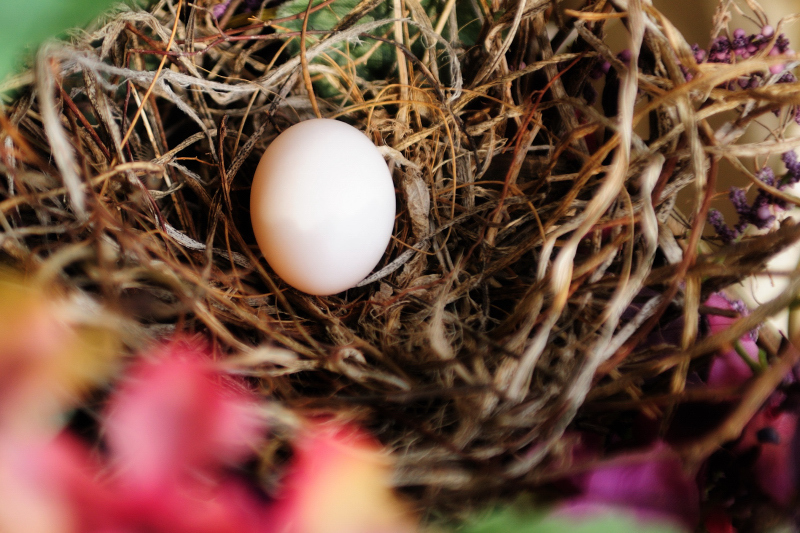 Hopefully, the eggs will hatch and she'll be able to take care of the little birds. We are avoiding use of the front door as much as possible. Both shots are amazing! The one of momma looks fake...Amazing!